This is another Pinterest inspired post. I have fallen into the habit of sharing with you how I use Pinterest to help me style my current overwhelming collection of clothes. I simply scan through and pin outfits that inspire me. I try to make sure that I own most of the elements and then put the pieces together in new ways. I guess it's like Ms. Potato head! Or to be more fashion friendly call it paper dolls. It really streamlines "my what the hell am I going to wear decisions" It's not that important now since I am still stuck at home recovering. I know it will be a great tool when I finally go back to work. 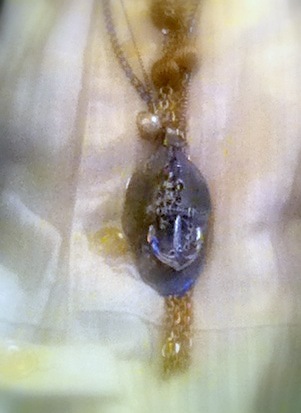 Today it's all about the accessories. I have been organizing all of my old jewelry. Many of the pieces will be refashioned into gifts this Christmas. I guess in a way I bling-ed this outfit up. 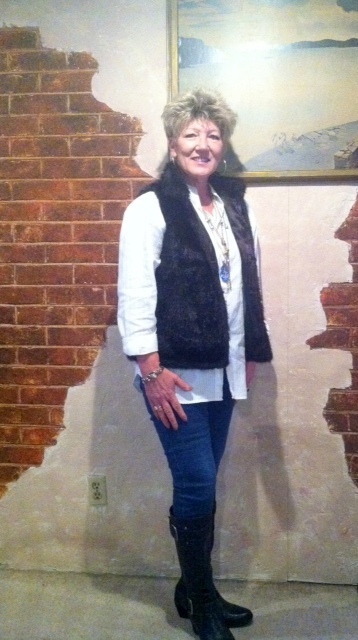 I purchased the faux fur vest last year at Kohls and really enjoy wearing it. I wear a lot of capes instead of coats (really quite liberating) I will be sad when they go out of style...... 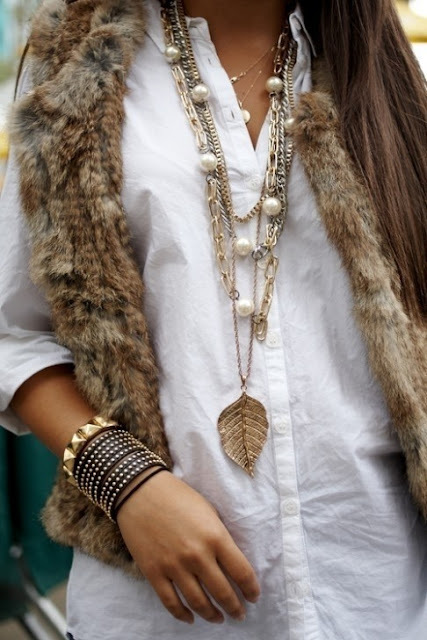 The fur vest (I actually own three) is perfect for a little added warmth. I can't believe another week has gone by. The Holidays will be here before we know it. This year is a lot different for me. I still can't drive and my lasting power at any store is about an hour. I have ordered several things on line. Each year I get more comfortable with that type of shopping especially when I'm sending the gifts across the country. Do you shop on line? I am also making some jewelry. I'll show you a couple of necklaces at the bottom of the post. I am getting better but's it has been a long slow haul. There are times that I really wonder how I haven't slipped into depression. I guess I just don't have that kind of personality and know that 3 months of recovery down I focus on the light at the end of the tunnel...........As long as that light keeps shining I'll be A OK! My sons put up the tree last weekend. So there it sits, not in the living room window which is it's normal place of stature, but in the family room which has become basically my living quarters. It is still decked only with lights but today I'm going to try to get as much done to it as possible. Hope you all have a wonderful weekend. It's going to be 60 here and in this area that's pretty amazing! Might have to import some snow just for the Holiday effect! 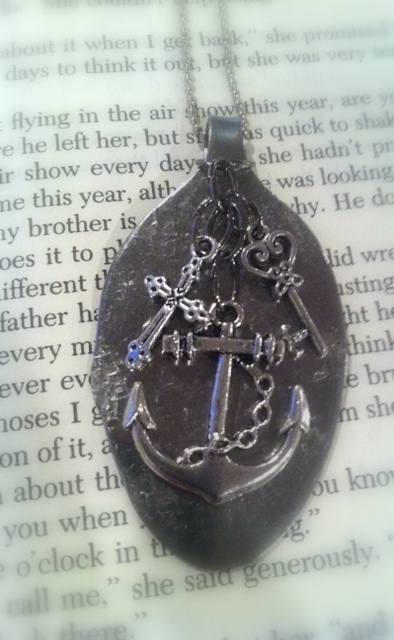 One of the necklaces I'm making for gifts. 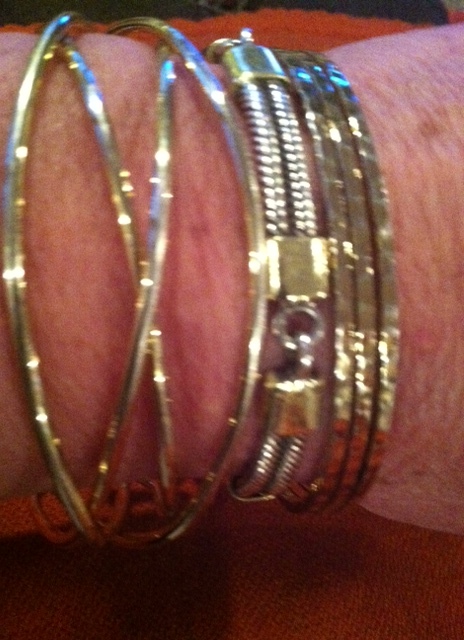 I love your bangle bracelets. Accessories just make me smile...love the vests, necklaces, bracelets, your smile! Have a great weekend, Tammy! Tammy! herro! i am one of your newest followers. wanna know how to get sharp focused close ups? turn on 'Macro'! results = sharp every time. now. don't look at my post on past Monday. blur-city. my gracious. i took 25 shots - not 1 CLEAR. grief. you are a FASHIONISTA, gal. you are!!!! Hey Tammy! Firstly,I am soooooooooo with you on the capes thing! I love them! And secondy, I also love fur vests (we call them gilets here!) I've had one since I was in the first year at Uni and it's still going strong! I also have a sheep costume one, they are a great bonus layer! Your one is really lovely and stylish! Pinning is a great idea but I daren't even look at it or I will waste even more time than I do now, blogging!!! Hi Tammy! I like how you use pinterest. I use styled on the same way. Or other blogs for that matter. I shop A LOT on line. Easier for me! Great outfit, I wanted to let you know that the Pinterest outfit you sent me for inspiration I am posting in tomorrow's post. I thank you for thinking about me, it was very thoughtful. 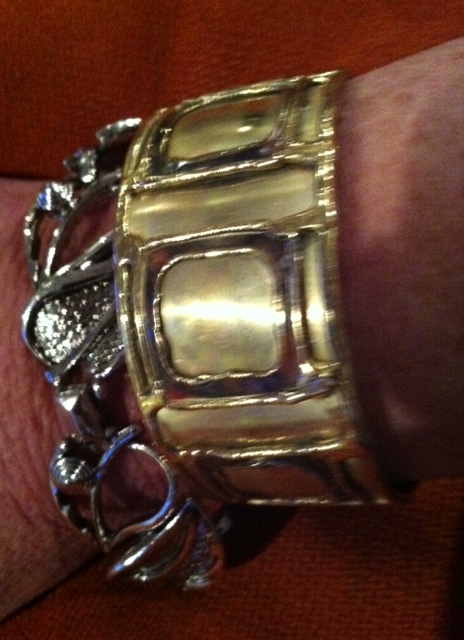 Tammy--you look fabulous--and your best accessory is your beautiful smile!! I love how you've styled this vest Tammy. You look classic and elegant. It's nice to see you without your walker, in this photo at least. In another post you mentioned needing to visit the toy stores but not knowing what to get. For baby showers I've been getting a rubber giraffe called 'Sophie' that's available most places. It was recommended by my mom who works in an obstetrician's office and sees babies all the time. For some reason babies LOVE Sophie. She's a bit pricey at about $25 (not sure if this is in your budget) but I'm sure it is something that would get a lot of use. I've also found at Babies R Us a big carabiner clip for about $5 that hooks onto strollers so moms can hang purses, grocery bags, diaper bags etc.